Intrauterine devices, commonly known as IUDs, have been around for almost 50 years. 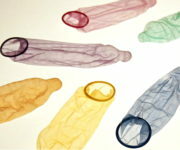 They are terrific at preventing unwanted pregnancy and have high rates of satisfaction among users. 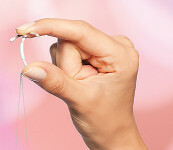 Yet fewer than 6 percent of women in the United States used IUDs from 2006 to 2008, according to the American Congress of Obstetricians and Gynecologists (ACOG). Why are they not a first choice of contraception or used more than they are? There are hormonal and non-hormonal IUDs available: Skyla, Mirena, and Paragard. A bit of history: Even though the concept of IUDs has been around since the early 1900s, it wasn’t until the Dalkon Shield was marketed in the ’60s and ’70s that IUDs were more widely used. However, due to design flaws in the shield, many users experienced bad infections and a few people died. The Dalkon Shield was taken off the market and the bad reputation of IUDs remained seared in the minds of the public. Today, newer IUDs are much improved — with a better design and fewer problems, fewer than 1 percent of users have serious complications. But still they remain underused and misunderstood, according to some health experts. 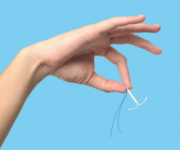 Recently, studies have shown that IUDs are an excellent choice for teens who usually want a long-term method of birth control that is easy to use and easily reversible. As a matter of fact, ACOG states that IUDs are the most effective reversible contraceptives available and are safe, reliable, and cost-effective for most users, including teens.